Whether you have a start-up company, a restaurant, boutique, or even a health and beauty spa, having a website is important to consider. Not only is it easy to create a website when you use a website builder, but it's an inexpensive and virtually maintenance-free way to have an online presence for your current and prospective customer base. Many business owners who create their own websites add essential content like contact information, the history of the company, high-quality images, and other information that's pertinent to the business. One thing that every business, regardless of the type, could benefit from is adding a blog to the website. We'll talk a closer look why blogging on your business site is advantageous to your business. When you decide to add a blog to your website and write on a regular basis, you're likely to bring traffic to your website and as a result, boost your exposure online. As long as you create original and interesting posts that your customer base will be drawn to, there's a good chance that they will visit your site frequently. If you take the time to write quality posts for your blog, not only will people visit your site more, but they may even share your post on social media (which can help boost your traffic, too). When you create your business website, it's best to keep it looking professional, easy to navigate and not too cluttered. While your site will be the place to put your basic information (unless you're creating an e-commerce site), your blog can be where you go more in-depth on topics related to your business. Maybe you can write about an upcoming special or a product that you're working on releasing. Use the blog as a way to explain your business and answer questions that many customers may have about your products or services. 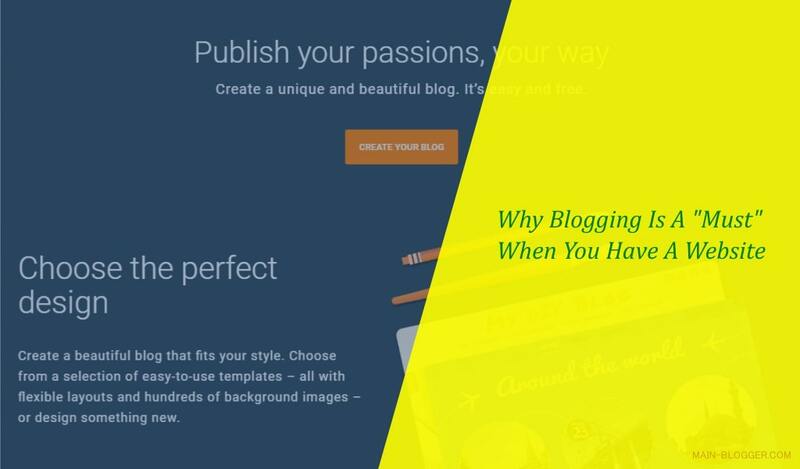 Since some of the best website builders are affordable, adding a blog at no extra cost is an inexpensive and effective way to market your business. Many consumers want to support a business that's run by "real" people and people they feel connected to; depending on the type of business you have, failure to connect with your customers can make or break you. A blog is an easy way to give customers an "inside" look at who you are, how your business works, and even some of the "behind the scenes". Another way to connect through your blog is to provide the reader with tips and other how to's, if they are applicable to your business. If you are a vintage shop you can give tips on how to decorate or if you specialize in beauty products, you can write about quick makeup tutorials. Ready to create a website and start writing your blog? When you visit Best10websitebuilders.com, you can browse the best website builders for a variety of business types, and that makes adding a blog feature to your site easy.